Karina's Kreations: Peaceful Pines stamp set! 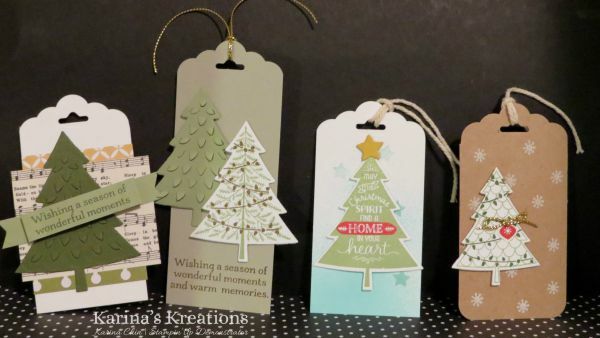 Do you love to make handmade tags for your Christmas gifts? If you do, make sure to buy the Peaceful Pines stamp set and matching Perfect Pines Framelit dies #139665. You can get a bundle price of $55.25. These are 4 cute tags I made with this bundle.